Which way of programming is used, depends on manufacturer, model, year and the ECU type in the car. Generally we use the “easiest” way of programming. So if a car can be programmed by the OBD port, we will do it this way. 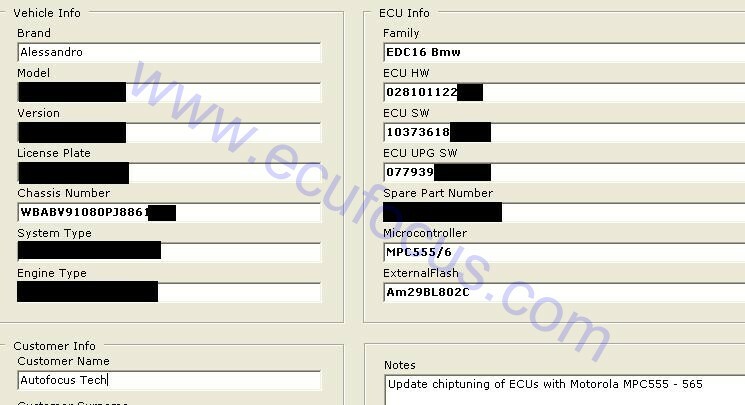 After the security entries for the OBD2 programming get more and more difficult, a new possibility has come up for chiptuning of ECUs with Motorola MPC555 - 565. This generation of Motorola processors contain 448KB - 1MB Flash memory. That memory cannot be read and programmed with an eprom programmer. Therfore it is possible over the so called BDM interface, which must be implemented on every ECU board. For that purpose there are mostly 10 solder pads on the PCB. Alternative there are ECUs with 12 or 14 solder pads, which can be supplied with operating voltage over these pads. The BDM100 is a universal reader/programmer (it does not require our RACE software necessarily) that allows the user to read and program files in the ECU supplied with MOTOROLA MPC5xx processor (essential). The BDM100 requires the ECU to be open, “on the bench”, as the reading/programming operations are realized by linking a flat cable to specific area the ECU (the tool, on the other side, is linked to the USB port of a computer). 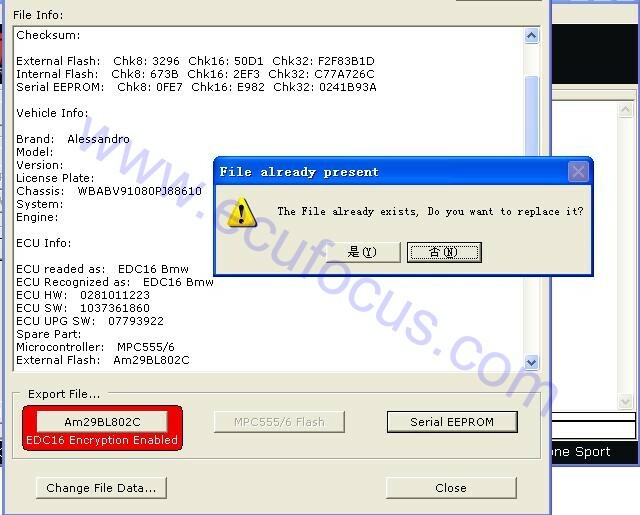 It allows also to create perfect copies of the whole software of an ECU (after having read the original ECU software).